Best for New Players. Choose your deck built around one of Magic's iconic Planeswalkers. 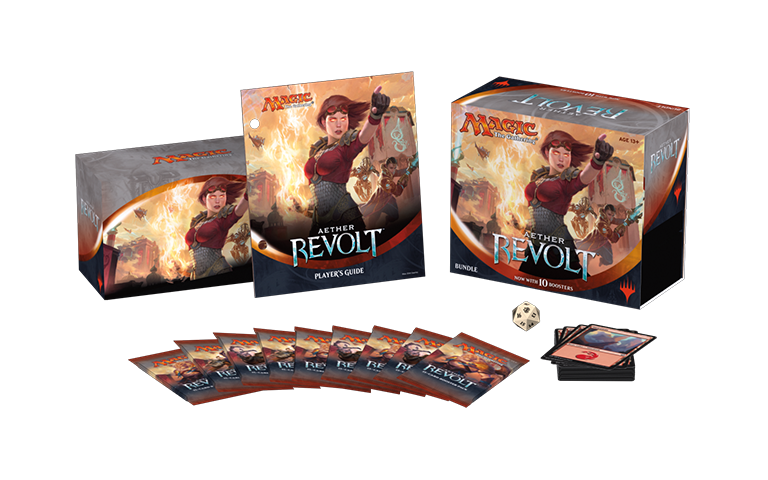 Includes a ready-made 60-card deck with a mythic rare planeswalker card, two 15-card Aether-Revolt booster packs, a strategy insert, and a learn-to-play guide. 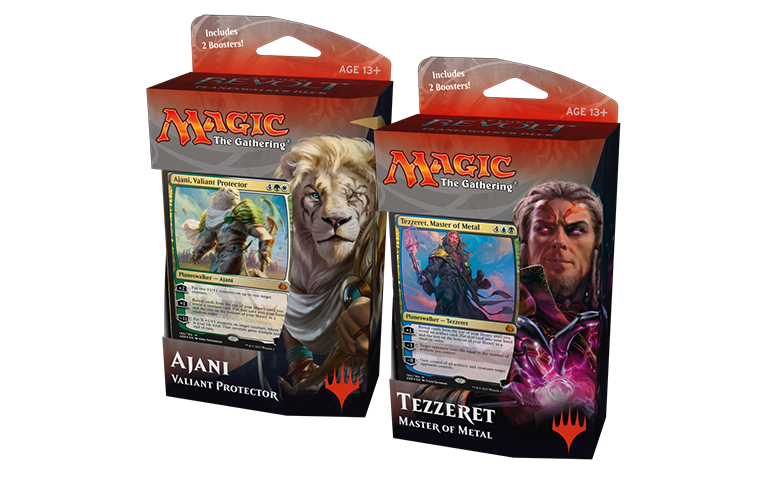 Purchase an Aether Revolt booster box in-store and receive an alternate art premium promotional card, limit one per customer, while supplies last.